WEATHER MAPS THRU NEXT 48 HRS - IS THERE A STORM COMING? A winter weather event is a winter weather phenomenon (such as snow, sleet, ice, wind chill) that impacts public safety, transportation, and/or commerce. It typically occurs during the climatological winter season between October 15 and April 15. Outlook - Winter weather that may cause significant impact in the day 3 to 7 forecast time period and eventually lead to the issuance of a watch or warning is contained in the Hazardous Weather Outlook. 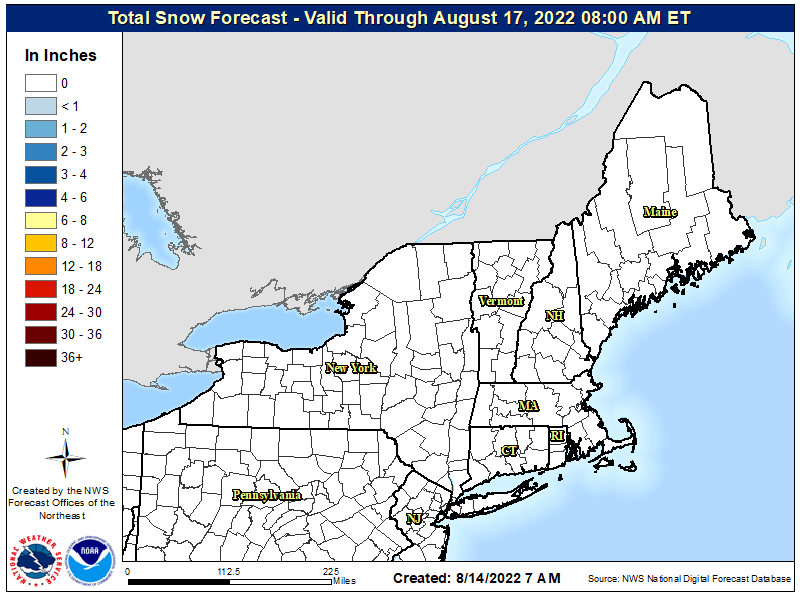 More scientific discussion on the event can also be found in the Area Forecast Discussion. Forecasts in the day 3 to 7 time period typically have a lot of forecast uncertainty. Uncertainty is generally in the 30 to 50% range that the event will occur and reach warning criteria. It is intended to provide information to those who need considerable lead time to prepare for the event. Watch - A watch is generally issued in the 24 to 72 hour forecast time frame when the risk of a hazardous winter weather event has increased (50 to 80% certainty that warning thresholds will be met). It is intended to provide enough lead time so those who need to set their plans in motion can do so. 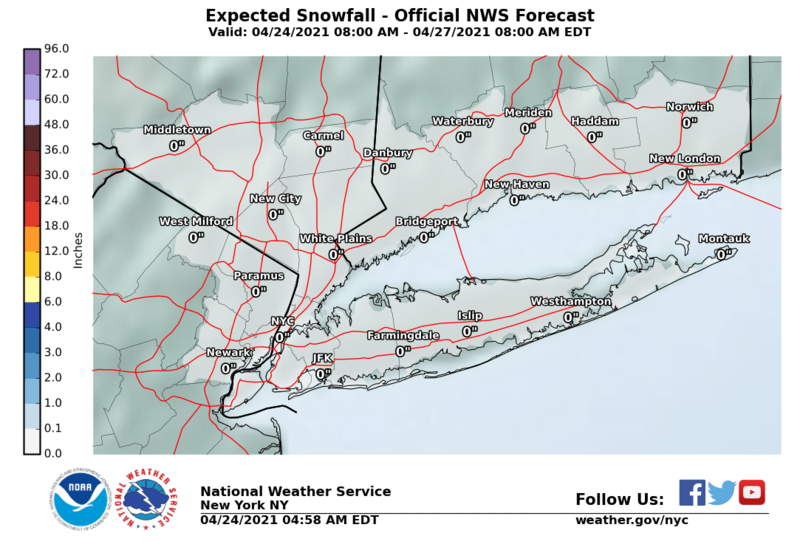 A watch is issued using the WSW Winter Weather Message product and will appear as a headline in some text products such as the Zone Forecast. 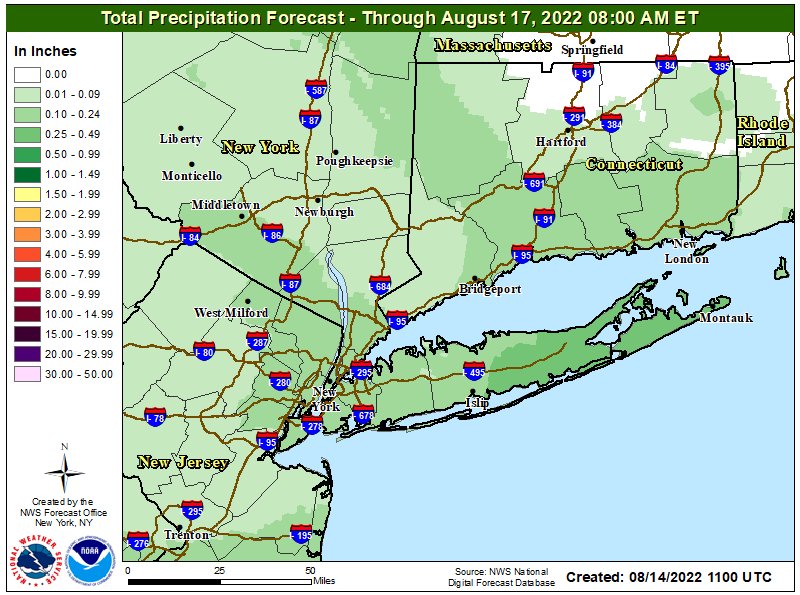 It will change the color, as shown in the table below, of the counties on the NWS front page map according to what type of watch has been issued. Conditions are favorable for a blizzard event in the next 24 to 72 hours. Sustained wind or frequent gusts greater than or equal to 35 mph will accompany falling and/or blowing snow to frequently reduce visibility to less than 1/4 mile for three or more hours. Conditions are favorable for a lake effect snow event to meet or exceed local lake effect snow warning criteria in the next 24 to 72 hours. Widespread or localized lake induced snow squalls or heavy snow showers which produce snowfall accumulation to 7 or more inches in 12 hours or less. Lake effect snow usually develops in narrow bands and impacts a limited area within a county or forecast zone. 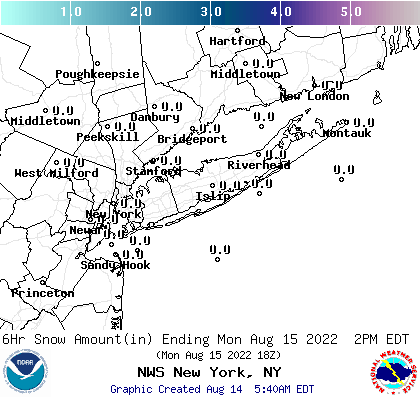 Use "mid-point" of snowfall range to trigger a watch (i.e 5 to 8 inches of snow = watch). Conditions are favorable for wind chill temperatures to meet or exceed local wind chill warning criteria in the next 24 to 72 hours. Wind chill temperatures may reach or exceed -25°F. Conditions are favorable for a winter storm event (heavy sleet, heavy snow, ice storm, heavy snow and blowing snow or a combination of events) to meet or exceed local winter storm warning criteria in the next 24 to 72 hours. Criteria for snow is 7 inches or more in 12 hours or less; or 9 inches or more in 24 hours covering at least 50 percent of the zone or encompassing most of the population. Use "mid-point" of snowfall range to trigger a watch (i.e 5 to 8 inches of snow = watch). 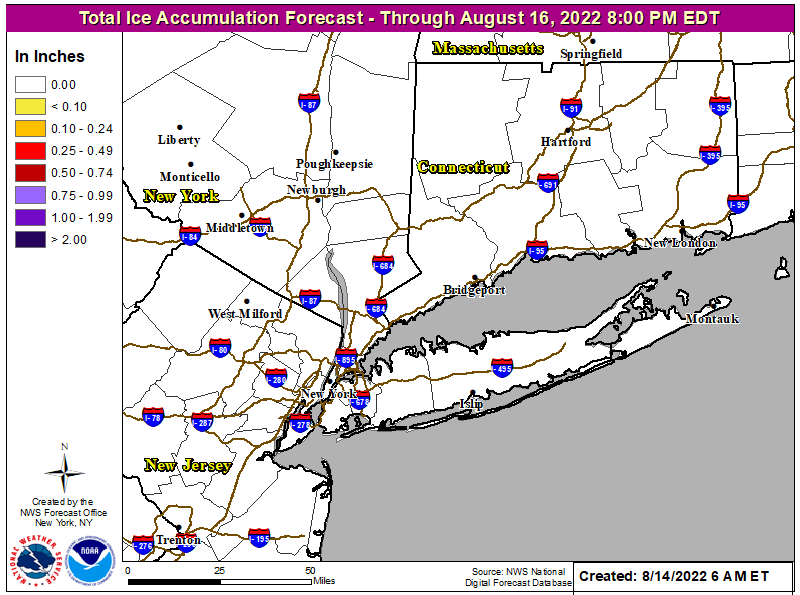 Criteria for ice is 1/2 inch or more over at least 50 percent of the zone or encompassing most of the population. Warning/Advisory - These products are issued when a hazardous winter weather event is occurring, is imminent, or has a very high probability of occurrence (generally greater than 80%). A warning is used for conditions posing a threat to life or property. An advisory is for less serious conditions that cause significant inconvenience and, if caution is not exercised, could lead to situations that may threaten life and/or property. Warnings and advisories are issued using the WSW Winter Weather Message product and will appear as a headline in some text products such as the Zone Forecast. It will change the color, as shown in the table below, of the counties on the NWS front page map according to what type of warning/advisory has been issued. Blizzard event is imminent or expected in the next 12 to 36 hours. Sustained wind or frequent gusts greater than or equal to 35 mph will accompany falling and/or blowing snow to frequently reduce visibility to less than 1/4 mile for three or more hours. An ice storm event is expected to meet or exceed local ice storm warning criteria in the next 12 to 36 hours. Criteria for ice is 1/2 inch or more over at least 50 percent of the zone or encompassing most of the population. A lake effect snow event is expected to meet or exceed local lake effect snow warning criteria in the next 12 to 36 hours. Widespread or localized lake induced snow squalls or heavy snow showers which produce snowfall accumulation to 7 or more inches in 12 hours or less. Lake effect snow usually develops in narrow bands and impacts a limited area within a county or forecast zone. Use "mid-point" of snowfall range to trigger warning (i.e 5 to 8 inches of snow = warning). Wind chill temperatures are expected to meet or exceed local wind chill warning criteria in the next 12 to 36 hours. Wind chill temperatures may reach or exceed -25°F. A winter storm event (heavy sleet, heavy snow, ice storm, heavy snow and blowing snow or a combination of events) is expected to meet or exceed local winter storm warning criteria in the next 12 to 36 hours. 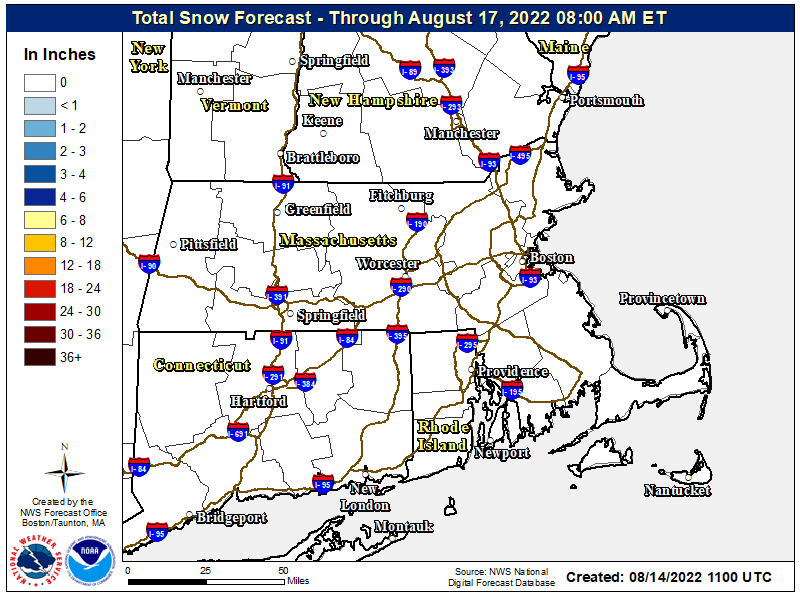 Criteria for snow is 6 inches or more in 12 hours or less; or 8 inches or more in 24 hours covering at least 50 percent of the zone or encompassing most of the population. 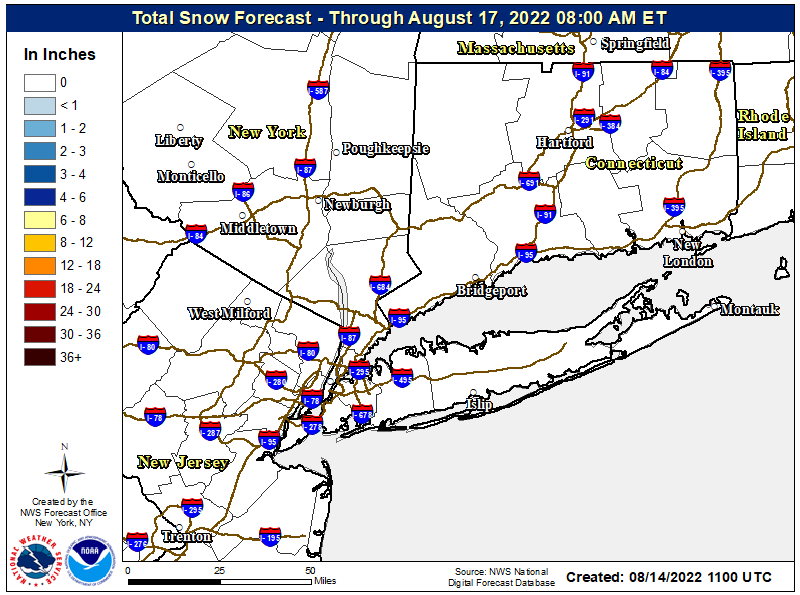 Use "mid-point" of snowfall range to trigger warning (i.e 5 to 8 inches of snow = warning). Criteria for ice is 1/2 inch or more over at least 50 percent of the zone or encompassing most of the population. A winter storm event (sleet, snow, freezing rain, snow and blowing snow, or a combination of events) is expected to meet or exceed local winter weather advisory criteria in the next 12 to 36 hours but stay below warning criteria. Criteria for snow is 3inches or more in 12 hours or less covering at least 50 percent of the zone or encompassing most of the population. 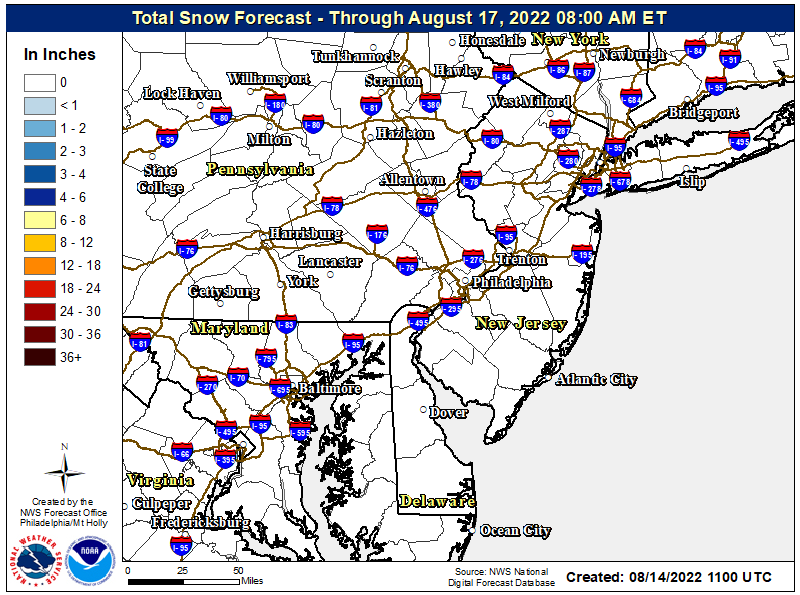 Use "mid-point" of snowfall range to trigger advisory (i.e 2 to 5 inches of snow = advisory). Criteria for ice is any ice accumulation less than 1/2 inch over at least 50 percent of the zone or encompassing most of the population. Winter Weather Advisory can also be issued for black ice. This is optional. Any accumulation of freezing rain is expected in the next 12 to 36 hours (but will remain below 1/2 inch) for at least 50 percent of the zone or encompassing most of the population. 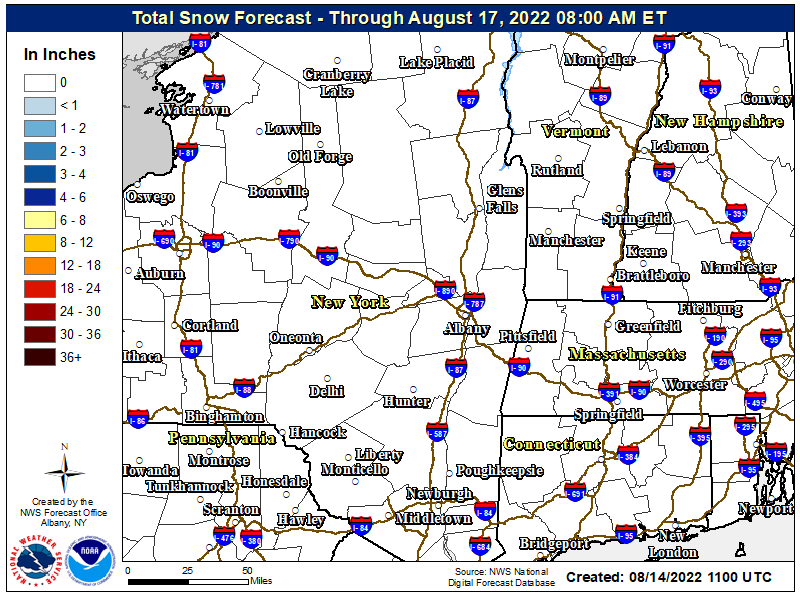 A lake effect snow event is expected to to meet or exceed local lake effect snow advisory criteria in the next 12 to 36 hours.Widespread or localized lake induced snow squalls or heavy snow showers which produce snowfall accumulating to 4 or more inches in 12 hours or less, but remain less than 7 inches. Lake effect snow usually develops in narrow bands and impacts a limited area within a county or forecast zone. 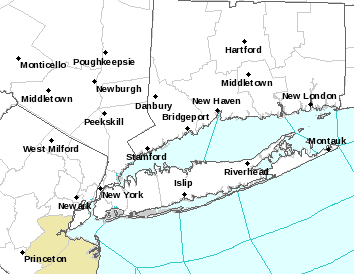 Use "mid-point" of snowfall range to trigger advisory (i.e 2 to 5 inches of snow = advisory). Wind chill temperatures are expected to meet or exceed local wind chill advisory criteria in the next 12 to 36 hours. Wind chill temperatures may reach or exceed -15°F. Right-click on each image to view, save or copy.